Medical Director of Lifecare Centre, Vikas Marg, Delhi India. 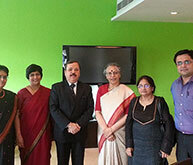 Lifecare IVF is known for high quality and ethical standard in the field of infertility. 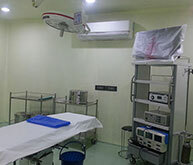 It is also one of the best IVF hospital in delhi NCR. An academician of high standing & best IVF specialist in delhi, she has taught for 2 decades at PGIMER, Chandigarh &Lady Harding Medical College. She had been past Chairman of Women Wing of Indian Medical Association (2004 - 2007) & past Medical Advisor of National Commission of Women (2001 -2004). 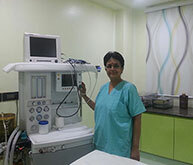 She started IVF life care which is regarded as one of the best IVF clinic in Delhi. She has published over 200 articles & edited 2 books & contributed many chapters in PG/ UG books. She is Secretary General of Delhi Gynecologist Forum & Editor of E-Bulletins of DGF & DGF E-Bulletin on IVF- Infertility & Recurrent Abortion. 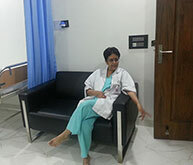 Base on this she is widely regarded as the most prominent IVF specialist in delhi & her experience made the Life care IVF as leading IVF hospital in delhi. She has been most sought after Guest Speaker in Northern India & in State, National & International Conferences. She has great organizing capacity & has several National & Local conferences, Workshop & Seminars to her credit. 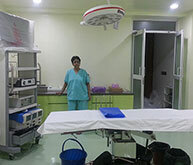 Her organizing capacity is amazing & it looks in lifecare IVF center. 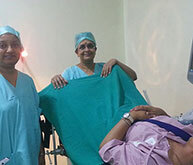 Take advantage of this capacity now she ably handled the centre & recognize it one of the best IVF clinic in delhi. She is called as Teachers of Teachers, loved by her colleagues & students and has been decorated with “Life Time Excellence Award” by Delhi Gynaecologist Forum / Wow India. As IVF specialist her special interest is in Tuberculosis in relation to Infertility; IUI & “Recurrent Abortions”.